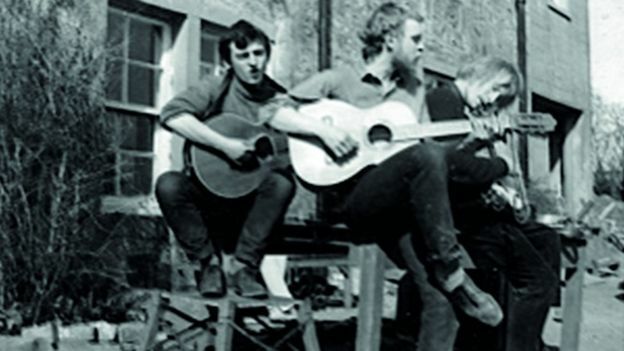 The Incredible String Band were one of the most influential bands of the Sixties but their roots lie in the folk clubs of Edinburgh. Their incredible journey took them from experimenting in Scotland’s all-night venues to an infamous appearance at Woodstock, the biggest counter-cultural event of the decade. Led Zeppelin, Bob Dylan, the Beatles and the Rolling Stones were all said to have been influenced by the psychedelic folk rock of the band, who played “world music” a decade before the term was coined. 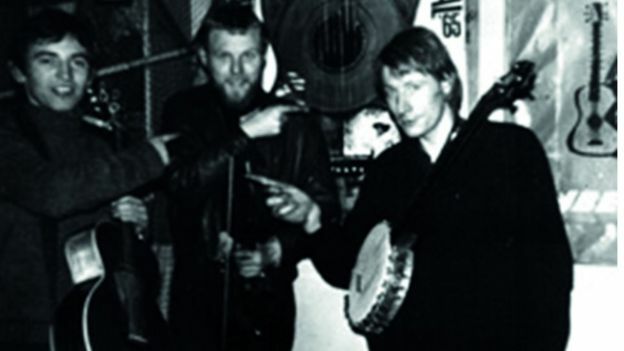 Comedian and banjo-player Billy Connolly, who was a massive fan and who got to know them when they played the folk clubs of Glasgow, described the band as “hairy, exotic and interesting”. 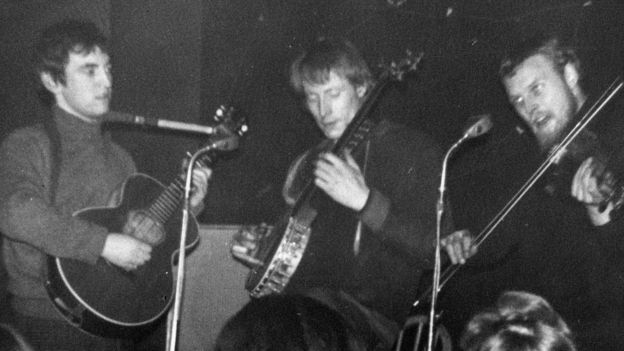 The story of how a group of folkies playing the Crown Bar in Edinburgh and late night clubs in Glasgow’s Sauchiehall Street rose to become musical pioneers, who are still revered around the world, is told in a new book by the Incredible String Band’s Mike Heron and long-time fan Andrew Greig. Heron begins the story by telling how a middle-class, private school-boy was looking for an escape through music. After playing in a rock ‘n’ roll covers band he got into folk music because he wanted to be a songwriter and “people in folk clubs actually listen to the words”. 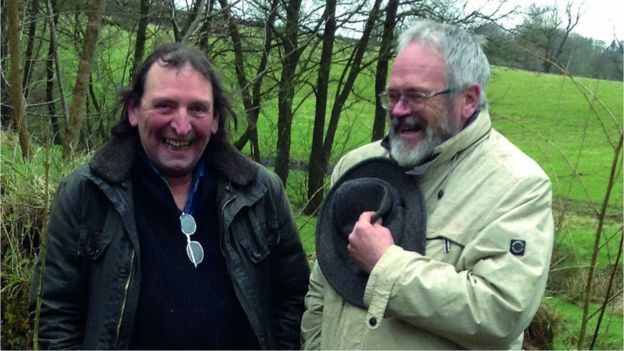 Heron hooked up with established folk scene stars Robin Williamson and Clive Palmer as the Incredible String Band began to break out of its folk roots. He says his band-mates were very much part of the beatnik scene, open to influences from all over the world. “Clive was ultimate Beatnik,” Heron says. Heron on the other hand was still living with his parents, who were pushing him to continue his training as a chartered accountant. He says he admired Robin and Clive: “I was a bit like their apprentice at first. At first the band played a mix of British folk, bluegrass and old-time jug band music. But the music quickly progressed as they wrote their own songs and brought in influences from India (they’d seen Ravi Shankar in Edinburgh), Afghanistan, Morocco and even Bulgaria. Heron says: “We were listening to all these things but there was no-one playing the kind of thing we wanted to listen to, a composite kind of thing. “We just played the kind of music people would like to sit around and have a joint to, interesting music that was made up of all these influences that seemed to be cool to the beatniks. The music caught the ear of American record company scout Joe Boyd, who was looking to set up a UK branch of Elektra Records. He had stumbled across Robin and Clive in early 1965 and returned a year later to sign them up. By this time Heron had joined and they had become singer-songwriters. Boyd liked what he heard. 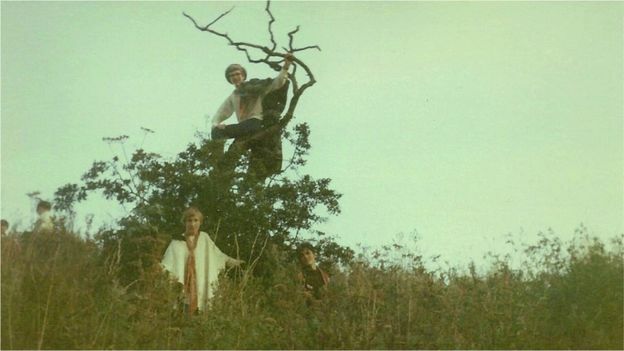 The Incredible String Band went to London, recorded their first album and immediately split up. Heron says: “When the money trickled in from the first album and the three of us got an advance, Robin and Clive just took off. “Robin just went immediately to Morocco and didn’t come back. Because people just did that in those days. “Clive went off to Afghanistan for a good six months. “Nowadays that seems amazing that a band has just made its first album and two of them toddle off around the world. According to Heron, Clive never really came back. He was not really interested in the band. Robin Williamson only returned to Edinburgh when the money dried up and the pair resumed ISB as a duo. When Williamson did return he was laden with Moroccan instruments, including a gimbri. Their second album The 5000 Spirits or the Layers of the Onion, which came out in 1967, was cited much later by David Bowie as one of the best albums ever. It has been described by critics as the Summer of Love condensed into one album. Its opening track, Chinese White, was the first time Andrew Greig had heard of ISB and it “blew my mind”. From the weird North African instrument in the opening bars to the lyric which states: “The bent twig of darkness/Grows the petals of the morning/It shows to them the birds singing/Just behind the dawning”, the whole thing was a revelation to a 16-year-old school boy from Anstruther in Fife. Greig says: “I was a fan out in the provinces and lots of people around about me were turned on, there is no other word for it, by the band. 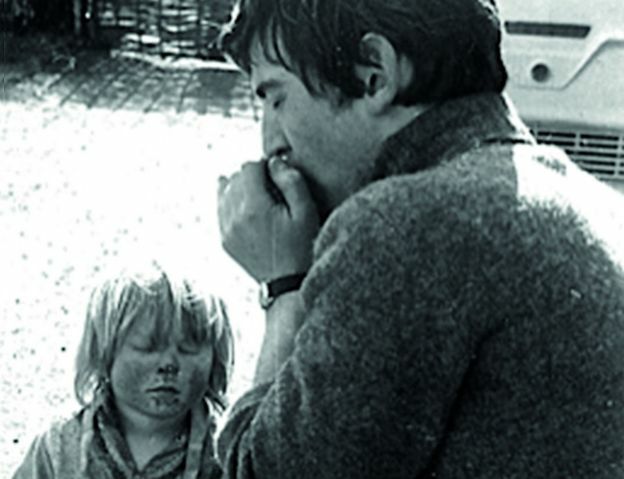 “There were no drugs available in East Fife at the time. The music just astonished us. 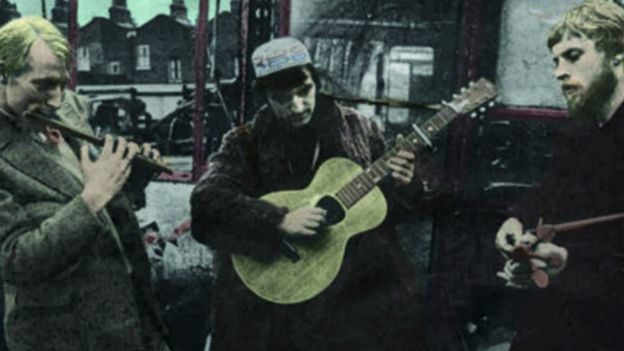 The young boy from Fife formed a band in the image of the String Band called Fate & Ferret. He says: “We adopted their manner of dress and walked around the back-country in Fife with flutes and whistles and mandolins and sausages and cider. Greig, who has had a successful career as a writer, wanted to use his experiences with the band to “memorialise” the Sixties. His book – You Know What You Could Be – takes its title from one of Heron’s early String Band songs. Its lyrics sum up Greig’s feelings about growing up in the Sixties: “You know what you could be/Tell me my friend/Why you worry all the time/What you should be”. 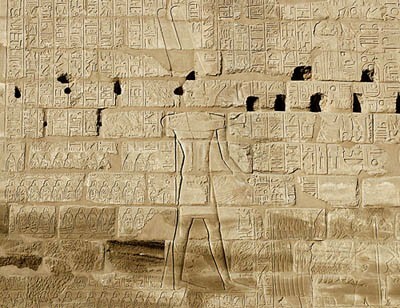 He says: “It was that kind of liberation call. “My story and Mike’s are both of people trying to become who they need to be when you don’t actually know who that is yet. In the book Mike Heron only tells the ISB story up to the point where Greig takes over. However, there was much more to come including a trip to Woodstock, the famous festival in upstate New York in 1969 that has become one of the most iconic events in music history. He says the roads to the site were so choked up that they had to be flown in by a military helicopter. The band were supposed to have played on the Friday but it was pouring with rain and they were afraid they would be electrocuted. The band were asked to play an acoustic set but by this time their girlfriends were in the band and Heron says it would have been “unchivalrous” to leave them out. Instead they played in the baking heat of the Saturday. Heron, who is now 74, says: “It was very tricky to play there. “The stage was high and rickety so that didn’t help. The music we were playing was quite delicate so when we went on on the Saturday it was a bit rowdy. 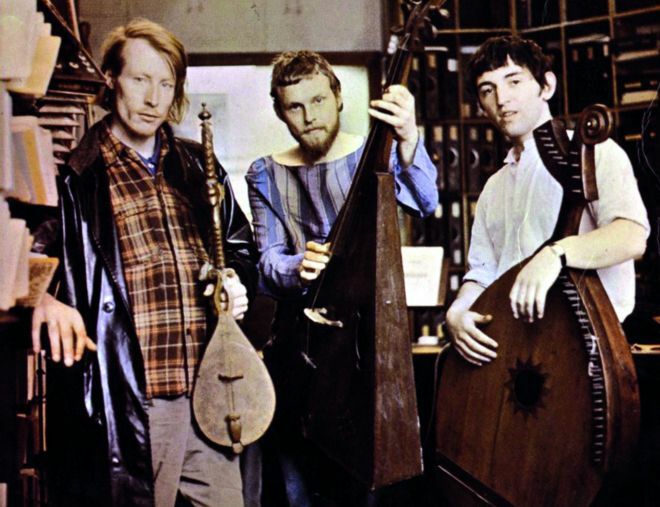 The Incredible String Band split in 1974 but reunited for occasional performances from 1997 to 2006. Andrew Greig says it is “astonishing” to be friends with and write a book with the man whose band he idolised as a 16-year-old in Fife. He says: “On one level he is a god, a myth, a legend, an inspiration of my youth . The man who followed on from that point was English–Aldous Huxley (1894-1963). He proposed drugs as a solution. We should, he said, give healthy people drugs and they can then find truth inside their own heads. All that was left for Aldous Huxley and those who followed him was truth inside a person’s own head. With Huxley’s idea, what began with the existential philosophers – man’s individual subjectivity attempting to give order as well as meaning, in contrast to order being shaped by what is objective or external to oneself – came to its logical conclusion. Truth is in one’s own head. 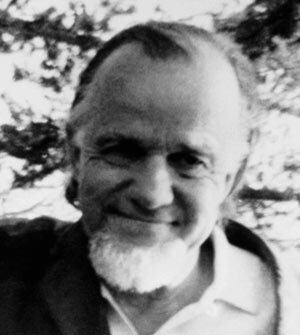 The ideal of objective truth was gone.